Days 21 and 22 – Happy Columbus Day! I didn’t have my camera with me yesterday, ended up getting penne with five meat and shrimp fritta before the football games. My fantasy teams are a mess this season. I wonder what Native Americans do on Columbus day. I, for one, am spending Columbus day taking my taste buds on a trip across the Atlantic from Philadelphia all the way to Italy! I started getting the salad dressing on the side. I’d much rather have my salad underdressed than overdressed. Same way I like my wife when she’s around the house. Crazy things happening in the world of the Olive Garden! The entire board of directors was ousted last Friday, and Starboard Value has replaced them all. 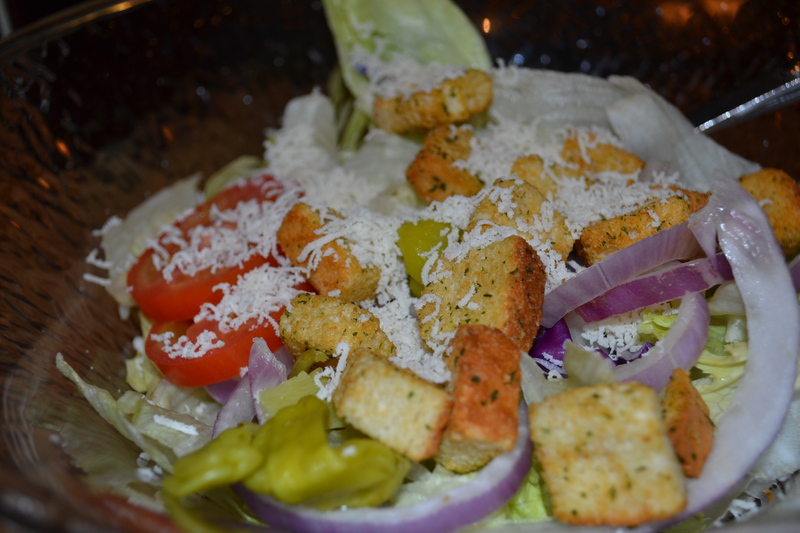 Among the changes that may be coming soon – fewer breadsticks, better salads, higher quality food? Or so we hope. Let’s hope this doesn’t turn out to be the cash grab on the part of the investors that some people are predicting. Came in just after the restaurant opened this morning around 11am. You know what you get when you walk in when the restaurant opens? Ridiculously fresh food! 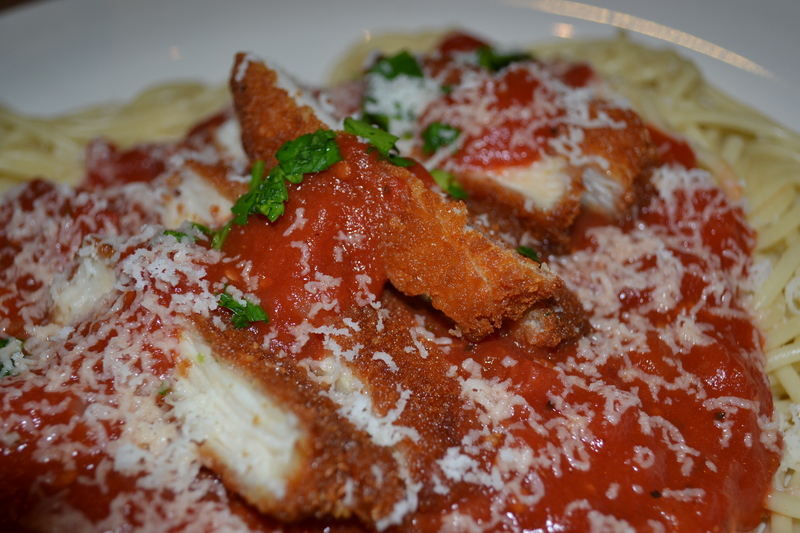 The chicken fritta today was the freshest it’s ever been, and look at the color of that marinara! That’s not photoshopped, just blood red marinara with chunks of fresh tomatoes picked from the garden out back. 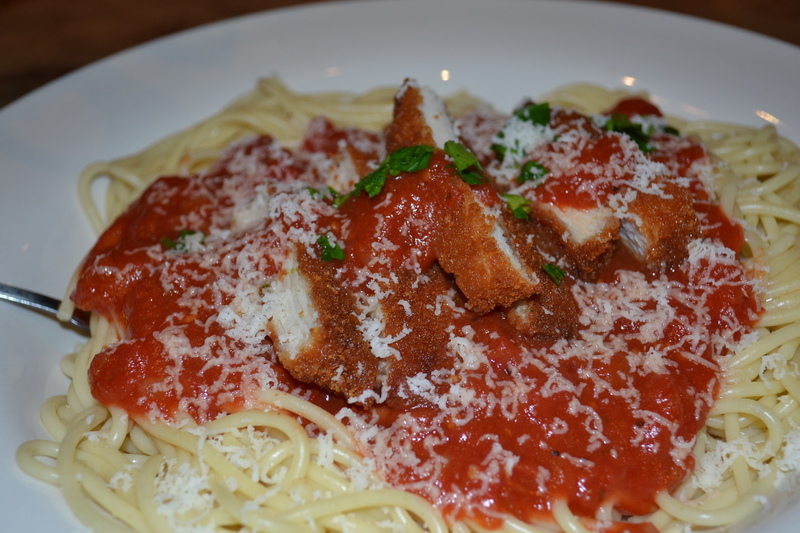 Seriously crispy, hot, breaded chicken. 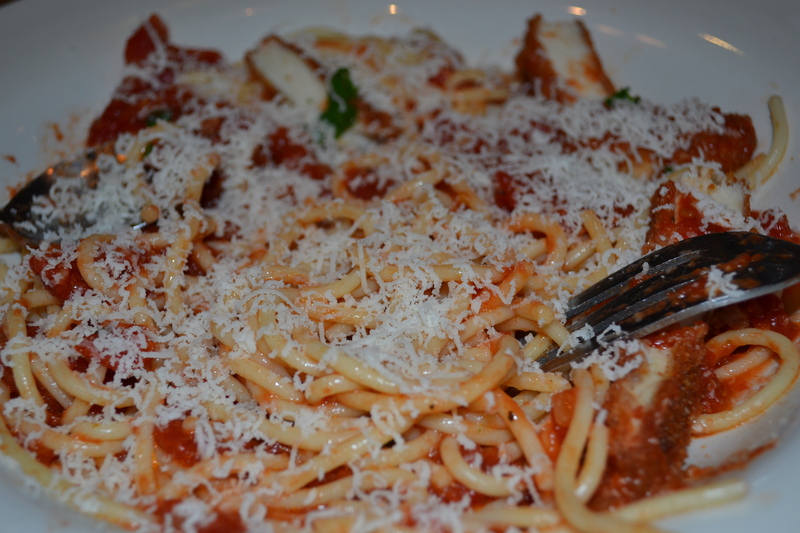 I embarrassingly had to ask for a re-up from the cheese machine halfway through my spaghetti. Will was at the bar this morning and he was very cool about it – even told me a tall tale about customers who get entire blocks of cheese grated onto their pasta just to make me feel better. Speaking of the cheese machine, did you know you can buy one online? Here’s the link! For all you spouses out there married to passionate fans of the Olive Garden, I can’t imagine a better Christmas gift for the special someone in your life!